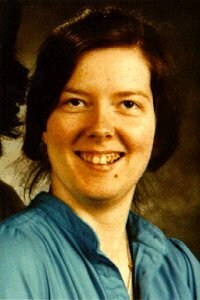 Mary Emma Hammond (nee Bisenthal) left her townhome unit on Elgin St., Brantford, Ontario around 3:30 a.m. on September 8, 1983. She had the early morning shift at the former Buns Master Bakery, 110 Morton Ave., where she had worked for approximately one year. Mary declined her husband's offer to drive her to work and left the home alone on the approximately 1.5 km walk. Walking north on Park Road North (now Wayne Gretzky Parkway) she passed the Massey-Ferguson factory and cut across the field towards the rear of the bakery. Approximately 4:00 a.m. a co-worker called Mary's husband asking why she hadn't arrived at work. Her footprints were followed to the property line at the rear of the bakery and to a point where Mary cut across a field. They then disappeared. Police were notified. Evidence at the scene includes some items from her lunch, a cup, dish and a half-eaten apple, one of Mary's white sockettes and a small quantity of blood in an area of the field. At the time of her disappearance Mary Hammond was 25 years old, 5'10", 140 lbs., with long straight reddish-brown hair, brown eyes and a fair complexion. She was last seen wearing a blue, mauve and red lumber jacket, blue jeans, white Adidas running shoes with a silver stripe and a yellow T-shirt. Investigators received information that a pickup truck left the rear of the bakery around the time Mary disappeared. The truck was seen parked at the back of the bakery parking lot and later driving through the rear lot. It is described as an older brown pick-up possibly a Ford, with painted bumpers and round headlights. Despite appealing to the public and an exhaustive police investigation, no truck matching that description has ever been found. Anyone with information about Mary Hammond is to contact the Brantford Police Service at 519-756-7050 or Crimestoppers at 1-800-222-TIPS.